Hotel Jai Mahal is the captivating leisure destination offering a myriad of services and facilities. To experience our truly enriching surroundings. If you are planning a visit to udaipur then it is one of the most prominent hotel for your comfort stay. To pamper the guest with ultimate comfort luxury and pleasure, the hotel offers multifarious amenities and services. 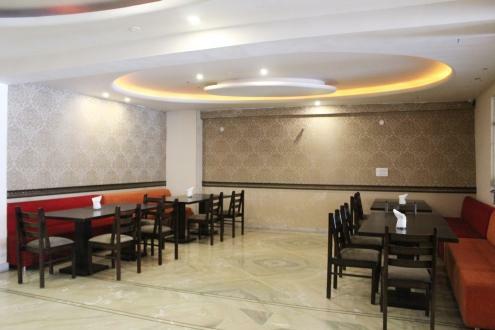 Experience glorious holiday in Hotel Jai Mahal Udaipur with a wide array of facilities catering to the every need of elite businessmen and leisure travelers.Hotel Jai Mahal Udaipur is well situated and located in the city of lakes. The delectable and luscious cuisines at its restaurants, its superior banquet services and its dedicated and gracious staff make your stay an experience that you would like to cherish forever. Smoking Rooms, Backup Generator, Complimentary Newspapers in Lobby, Currency Exchange, Catering, Recreation, Room Service, Safe Deposit Box-Front Desk, Restaurant, Laundry Facilities. House Keeping, Refrigerator Room, Ceiling Fan, Attached Bathroom, , Air Conditioning Room, Complimentary Toiletries, Television Room, Smoking Rooms, Cable/Satellite TV. User reviews for "Jai Mahal Hotel Udaipur"